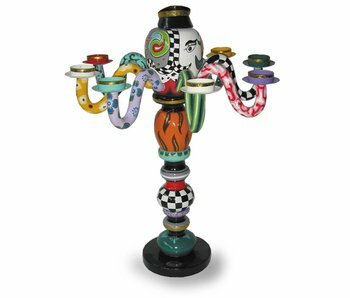 Cheerful Drag candlesticks in all shapes and sizes and materials. 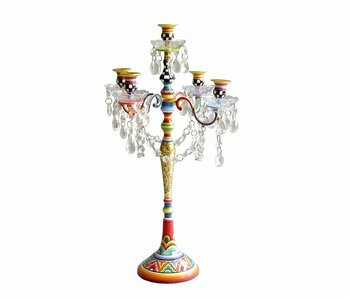 Dramatic chandeliers with 5 arms, to modest tea lights, or a man-sized candleholder to slim slender candleholders. All are painted by hand. 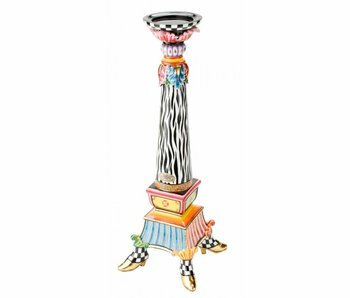 Cadiz is a modern, white candlestick for five candles, combined with the fresh colors of Toms Drag Silverline. Height 42 cm and a circumference of 26 cm. 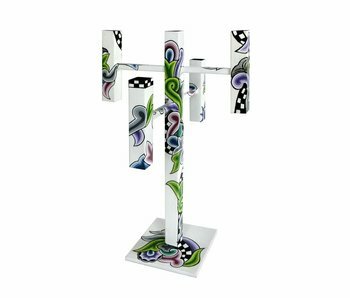 Ronda is a twisted candlestick on silver shoes and the fresh colors of the Silver Line Collection of Toms Drag. Height 30 cm. 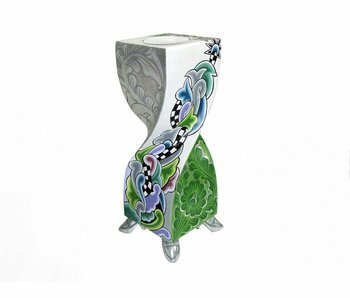 Ronda is a twisted candlestick on silver shoes and the fresh colors of the Silver Line Collection of Toms Drag. 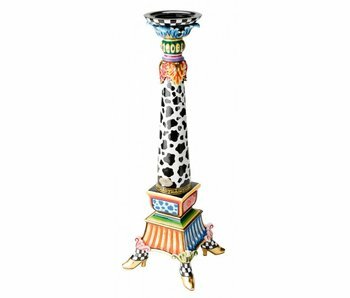 Height 25,5 cm. 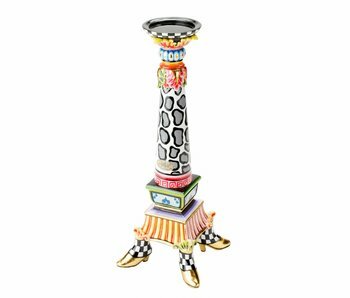 Ronda is a twisted candlestick on silver shoes and the fresh colors of the Silver Line Collection of Toms Drag. Height 20 cm. 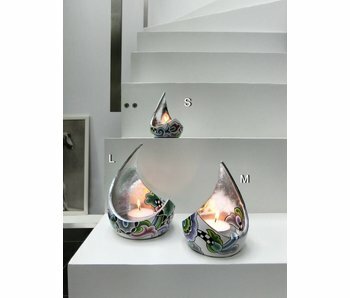 T-light holder Drop, size L with a brilliant silver color inside. 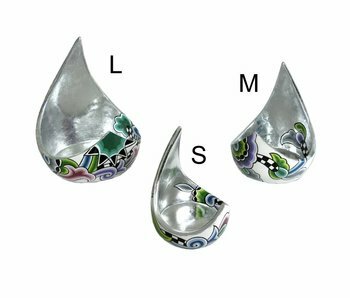 The outside is handpainted with the fresh colors of the Silver Line Collection Toms Drags. Diameter 15 cm x H 20 cm. 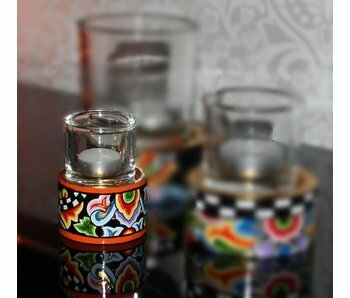 Candleholder or T-Light made of wood with glass. 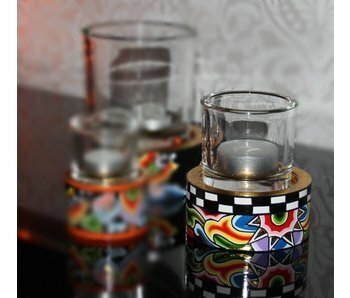 Great as a set of 3 (or more) in combination with colored candles (check-out the photos). 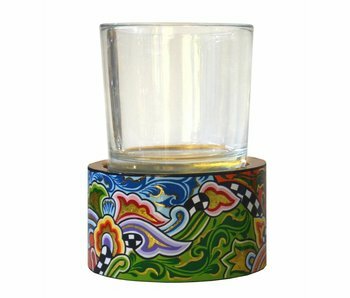 The base is hand painted in Drag patterns and has a golden surface on top. 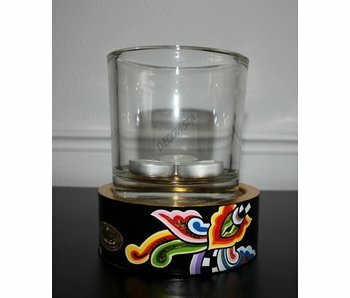 Toms Drags candleholder or T-Light made of wood with glass. 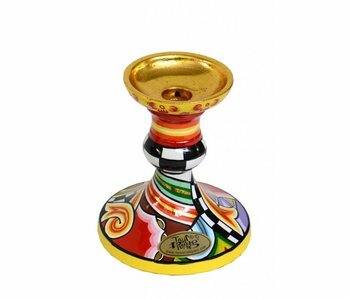 The base is hand painted and has a golden surface on top. Height 16 cm. Candlestick in Drag style. Made of hand-painted aluminum. Available in 3 sizes. The base has a diameter of 11.5 cm. 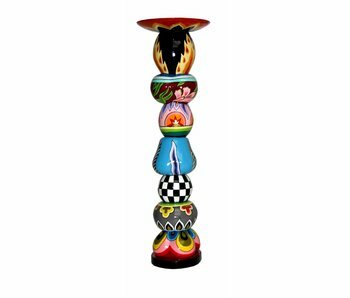 Decorative candlestick, shaped like stacked spheres. Hand painted in Drag style. Made of marmorin. Size: medium. 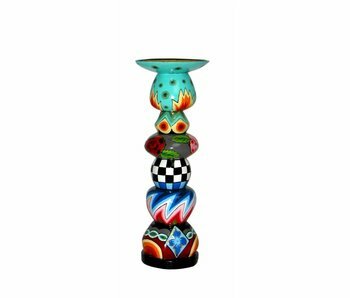 Candlestick shaped like stacked balls, 100% handcraft byToms Drags. Material: marmorin. Also available in other sizes and paintwork. Height 53 cm. 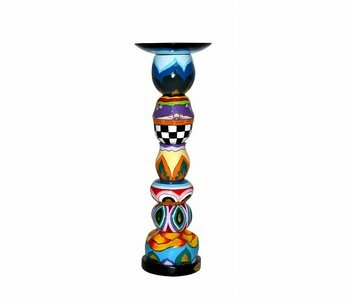 Decorative candlestick, shaped like stacked spheres. Hand painted in Drag style. Made of marmorin. 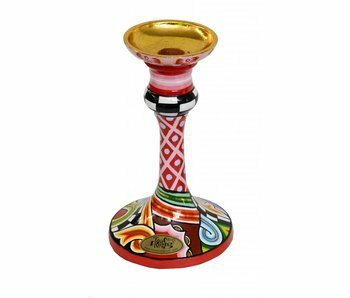 A typical Tom\'s Drags candlestick in Barock style, on four golden shoes. Very stable and heavy. 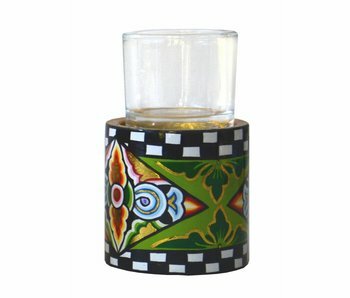 On top there is room for a candle with a straight or round bottom. 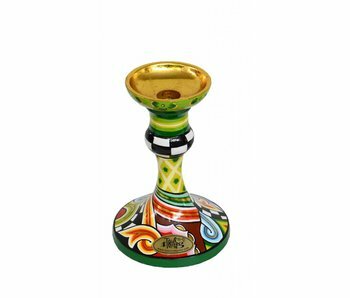 A Tom\'s Drags candlestick in Barock style, on four golden shoes. Very stable and heavy. 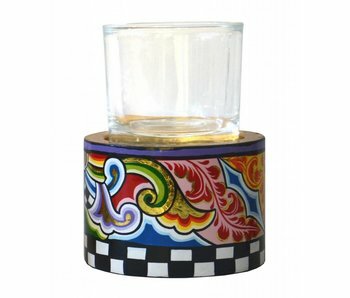 On top there is room for a candle with a straight or round bottom.